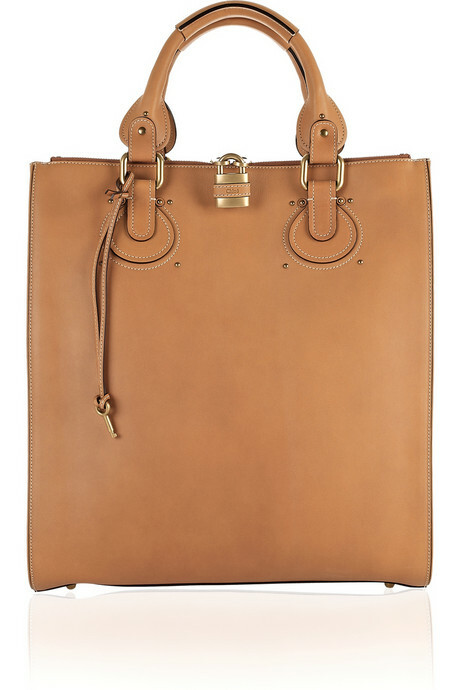 A blog post popped up on the Fashiolista blog this morning, and it got me thinking on the principle of extra large bags. No matter what the fashion trends might say, these babies keep coming back in some form or other every season, and it doesn’t matter whether they are competing for largest bag around or come in neon colours and covered in snakeskin, there is something about the elephant-sized tote that has women coming back for more. They are incredibly roomy, in fact I had a bloke from the airport security checkpoint ask me recently if I also had the kitchen sink in mine, because of all the miscellaneous items I was pulling out of it. I smiled sheepishly at him and went on my way, but he had a point and given the size of my old Louis Vuitton Mahina, I probably could have fit a small one in there. But don’t you ever find yourself losing half of your stuff in there? It usually happens to me after a few weeks when I haven’t gotten round to clearing out my bag and everything I put into it eventually ends up missing, whether it’s a favourite lipstick, loose change or even my mobile phone. The last is the most annoying, because it’s at times like this that my phone will go off with some important call I have to take and I’ve practically dived into my bag in the rush to get it. It always seems to provide amusement for those around me, but can be quite frustrating. Then there’s the issue of weight. Is it just me, or if you have a large tote or shoulder bag you end up invariably stuffing it full with more items than usual? That’s what happens to me a lot and no matter how hard I try I end up lugging all this crap around all day and end up with sore arms and shoulders. I’m not the tallest or the strongest of people, and while I usually can carry up to ten kilo on my arm for a couple of hours, after a long day it seems unbearable. So my question is, why do we honestly have these bags? Yes, they’re pretty and very practical, but constantly losing items in them or getting a sore back should tell us to stop stuffing our entire lives into one of these bags, and if we need all that extra stuff, why not invest in a carry-on case with a handle and wheels on the bottom. They used to look naff a couple of years ago, but with all those extra charges for checked luggage everyone has them nowadays and they aren’t just used for travelling anymore. So I say, enough with the over-sized bags and let’s get back to something a little more practical. OH wow I hadn’t seen this one… Funny your comment re- airport security! I have (or had?) the Paddington, and I remember when it first came out getting stopped at airport security and they had to look it over as if it was a threat to national security. An absolute laugh.